Why is the German Bundesbank accelerating it's gold repatriation? Could it be there worried about an all out currency war as Trump accused them, or are they afraid of the U.S. gargantuan debt situation. It's also strange that this article claims they still leaving half of there gold in New York and London. The US has suffered much reputation damage after Germany, Netherlands, Belgium and potentially France have moved to repatriate their gold holdings. These moves also come as France, Russia, China, South Korea and other nations have made major moves towards a more multi-polar world not as dependent upon the US Dollar as the current world, in which basically all global trade is tied to the Dollar. 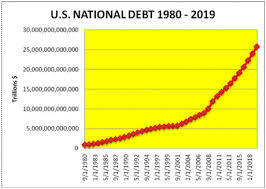 One main reason for so much skepticism in the viability of the US economy is how much debt the nation holds. 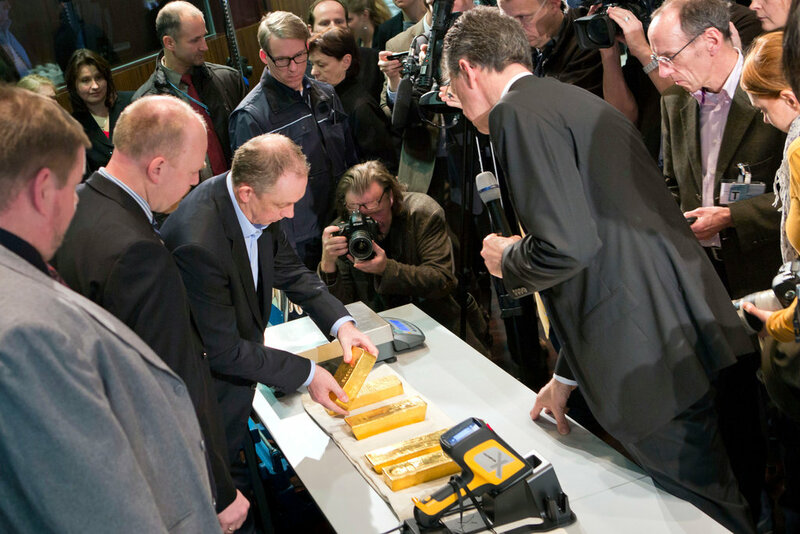 BERLIN -- Germany has completed an effort to bring home 300 metric tons (330.7 tons) of gold stashed in the United States, part of a plan to repatriate gold bars kept abroad during the Cold War. The German central bank said it brought 111 tons of gold back from the Federal Reserve in New York last year, concluding in September -- the last of 300 tons slated for return. "The transfers were carried out without any disruptions or irregularities," said Carl-Ludwig Thiele, board member of the central bank, called Bundesbank. The bank also repatriated 105 tons of gold from Paris last year. In 2013 it launched the transfer to Frankfurt of 300 tons of gold from New York and 374 tons from Paris. It still has another 91 tons to return from Paris, and said it plans to bring them back in 2017. Once the transfers are completed, Frankfurt will hold half of Germany's 3,378 tons of reserve gold, with the rest in New York and London. Thiele said there won't be any further transfers and Donald Trump's presidency didn't change the situation. "We have a trusting relationship with the Fed," he said. As of Dec. 31, there were 1,236 tons of German gold in New York -- 36.6 per cent of the total. The Bank of England in London held 432 tons, or 12.8 per cent. During the Cold War, West Germany kept most of its gold abroad for fear it could fall into the hands of the Soviet Union if the country were invaded. Another reason was to have the precious metal close to foreign currency markets in London, Paris and New York, where gold is traded. The Bundesbank already brought about 850 tons of gold home from London between 1998 and 2001. It has said that, since France -- like Germany -- long since switched to using the euro, storing gold for foreign currency swaps in Paris is no longer necessary. It hasn't given details of how it transported the gold home. The original plan was for the transfers to be completed by 2020, but the bank beat its schedule.